Looking to buy your dream home in York Region Markham Ontario, either you are a First Time Home Buyer or move up home buyer or new to Canada, my professional services will help you to find your perfect dream home. I have wide range of homes for sale in Markham, York Region Ontario, Real Estate for Sale in Markham, Home for sale in Markham neighborhoods. Through my Auto Listings Service you will get most recent listing every day as per your defined criteria, so you will not miss any listings. My free listings service will allow you to Search RE/MAX Listings in Markham, Home for in Markham ON, Markham Ontario Houses for sale, Markham Real Estate for sale, Downtown Markham Homes for Sale, Markham neighborhoods Property for sale, Almira Homes, Angus Glen , Belford, Berczy Village, Box Grove Homes, Bridle Trail Neighbourhood, Buttonville, Cachest, Cashel, Markham/16th Homes for Sale, 16th & McCowan Homes, Elgin Mills / Leslie homes, Kennedy and Hwy 7 Homes for Sale, Cedar Grove, Cornell, Dickson Hill, German Mills, Greensborough, Hagerman’s Corners, Bur Oak Homes for Sale, Land Mark, Legacy, Liberty Tower, Locust Hill, Milliken Mills, Mount Joy Homes, Pond Drive, Prince Charles Way, Rouge Fairways, Thornhill Green, Underwood, Unionville, Vinegar Hill, Victoria Squire, Woodland Park, Quartztown, Berczy Village, Old Markham Village Houses for Sale, Wismar Common, Armadale, Brown’s Corners, Hagersmans Corners, Langstaff, Raymerville - Markville East Neighbourhood. RE/MAX Premier Inc., Markham Real Estate professional Kaleem Salahuddin 416-992-9860 is committed to provide you best possible services and to protect your best interest in complicated Real Estate transaction. 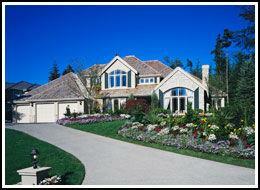 My job is to find you best match property according to your need and requirement in your price range. Make process easier for you and your family. Prepare an agreement and all other relevant documents for you. Provide you weekly updates and advise you accordingly. Help you get your home inspection done. Provide you my professional consultation and negotiate in your best interest. Provide support before, during, and after sale. Markham (pronounced /ˈmɑrkəm/ Mark-Am) is a town in the Regional Municipality of York, located in the Greater Toronto Area of Southern Ontario, Canada. Markham is the largest town in Canada, and one of its fastest growing municipalities, having doubled its population since 1990. The population of Markham according to the Canada 2006 Census is 261,573. Within the Greater Toronto Area, Markham is the fourth-most populous municipality after Toronto, Mississauga, and Brampton. Markham is home to many high-tech companies, and is also home to the Canadian head offices of various high-tech companies such as Avaya, IBM, Motorola, Toshiba, Lucent, Sun Microsystems, Apple, AMEX and ATI, which is now part of AMD. Markham was first surveyed as a township in 1793 by William Berczy, who in 1794 led 75 German families from Upstate New York to an area of Markham now known as German Mills. Each family was granted 200 acres (0.8 km²) of land, however due to hardships, many opted to return to York (now Toronto) and Niagara. The area was remote and the lack of roads through the region made travel difficult. German Mills soon became a ghost town. Between 1803 to 1812, another attempt at settling in the region was made. The largest group of settlers were PennsylvaniaGermans, most of whom were Mennonites. These highly skilled craftsmen and knowledgeable farmers had the best chance for survival because they had already survived harsh conditions in Pennsylvania. By 1830, many Irish, Scottish and English families immigrated to Upper Canada, many settling in Markham. Markham's early years blended the rigours of homesteading with the development of agriculture-based industries. The many rivers and streams in the Township soon supported water-powered saw and gristmills and later wooden mills. With improved transportation routes, such as the construction of Yonge Street in the 1800s, along with the growing population, urbanization increased. By 1857, most of the Township had been cleared of timber and was under cultivation. 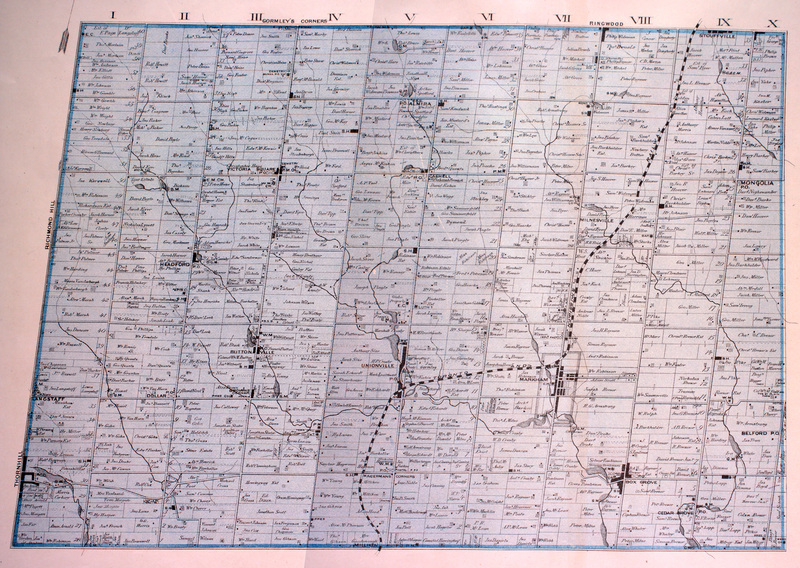 Villages like Thornhill, Unionville and Markham greatly expanded. In 1871, the Toronto and Nipissing Railway company built the first rail line to Markham, which is still used today by the GO Train commuter services. The first form of structured municipal government occurred in 1850 when the Township of Markham was created. , Markham's population was approximately 56,000. Since that time, the population has more than quintupled with explosive growth in new subdivisions. Much of Markham's farmland has now disappeared, but is still found north of Major MacKenzie Drive. Controversy over the development of the environmentally sensitive Oak Ridges Moraine will likely curb development north of Major MacKenzie Drive. At present, Markham comprises six major communities, which include Buttonville, Cornell, Markham Village, Milliken, Thornhill, and Unionville. Since the 1980s, the town has been recognized as a suburb of Toronto. Many high-tech companies have head offices located in Markham for the relative abundance of land, low tax rates and good transportation routes. ATI Technologies (now known as AMD), IBM Canada, Apple Computer Canada, Motorola Canada and many other well-known companies have chosen Markham as their home in Canada. Hence, the town has been branding itself as Canada's "High-Tech Capital". An Ontario Historical Plaque was erected in front of the Markham Museum by When Markham was incorporated as a town in 1972, its population quickly grew due to urban sprawl from Toronto. In 1976the province to commemorate the founding of Markham's role in Ontario's heritage. Pickering - along the York-Durham Line. Markham's average altitude is at 200 metres and in general consists of genty rolling hills. The town is intersected by two rivers; the Don River and Rouge River, as well as their tributaries. To the north is the Oak Ridges Moraine, which further elevates the elevation towards the north. Due to Markham bordering Toronto, Markham shares the same climate as Toronto. On an average day, Markham is generally one to two degrees celsius cooler than in downtown Toronto. Markham demographics as of the 2006 Census. The Markham Town Council consists of the Frank Scarpitti as mayor, four regional councillors and eight ward councillors representing one of the town's eight wards. Frank Scarpitti replaced the now retired Donald Cousens, who was a former PC MPP for Markham and Presbyterian church minister. The mayor and four regional councillors are elected by the community to represent the Town of Markham at the regional level. The members of council are elected by the municipality's voters. Councillors are paid by the municipality for their services, but in many municipalities, members of council usually serve part-time and work at other jobs as well. The current members of council were elected by the residents to a four-year term of office, in accordance with standards set by the province. The selection of members for the offices of mayor and regional councillors are made town-wide, while ward councillors are elected by individual ward. The town council is located at the Markham Civic Centre at the intersection of York Regional Road 7 and Warden Avenue. The previous offices on Woodbine Avenue have disappeared where now a funeral home operates. The historic town hall on Main Street is now a restored office building. The Mayor's Youth Task Force was created to discuss issues facing young people in the town and to plan and publicize events. Its primary purpose is to encourage youth participation within the community. There are no courts in Markham, but the town is served by an Ontario Court of Justice in Newmarket, as well as an Ontario Small Claims court in Richmond Hill, Ontario. The Ontario Court of Appeal is located in Toronto, while the Supreme Court of Canada is located in Ottawa. Policing is provided by York Regional Police at a station (5 District) at the corner of McCowan Road and Carlton Road and Highway 7. Highway 404, Highway 407 and parts of Highway 48 are patrolled by the Ontario Provincial Police. Markham Fire and Emergency Services was established in 1970 as Markham Fire Department and replaced various local volunteer fire units. There are 7 fire stations currently serving Markham. Toronto/Buttonville Municipal Airport is also served by Markham's Fire service. The main healthcare facility in the town is Markham Stouffville Hospital, located in the far eastern end. Markham is also home to Shouldice Hospital, one of the world's premier facilities for people suffering from hernias. Thornhill and Unionville are popularly seen as being separate communities. Thornhill actually straddles the Markham-Vaughan town line (portions of it in both municipalities). Markham has a number of both public and catholic high schools. All have consistent high scores on standardized exams and have some of the highest rate of graduates attending universities. Markham currently does not have any universities itself, but Seneca College has campuses at Highways 7 and 404 and at Buttonville Airport. Most high school graduates continue to post-secondary education in universities across Ontario. There are local transit services that connect to York University, Ryerson University, University of Ontario Institute of Technology and the University of Toronto, as well as to Toronto campuses of Seneca College, Centennial College, George Brown College, Humber College, The Michener Institute, Durham College and Sheridan College. In the 19th century, Markham was a vibrant, independent community with distilleries and breweries around the Highway 7 and 48 intersection. The Speight Wagon Works exported products around the world, and it was said that Markham was more active than York (former name for Toronto) was early on. Today, it claims to be "Canada's Hi-Tech Capital" with a number of key companies in the area, such as IBM, Motorola, Toshiba, Lucent, Sun Microsystems, Honeywell, Apple Inc., Genesis Microchip, and is home to the head office of graphics card producer ATI (recently merged with AMD). Markham also maintains economic and cultural cooperation agreements with the city of Laval, Quebec, which is the second largest city of the Greater Montreal Area and has a very high financial profile. Circular pathway along Berczy Park. Until the 1970s, Markham was mostly farmland and marsh, which is still reflected in events like the Markham Fair. Markham has several theatres, including the critically acclaimed Markham Little Theatre. and the Markham Youth Theatre. 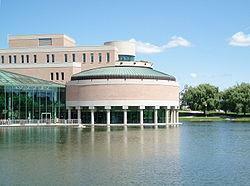 The Markham Public Library system has 6 branches, with over 600,000 items in its collections. There is a desire by the Town to control urban sprawl by requesting higher density for new development. The town plan calls for more growth along Highway 7 and less towards the farmland to the north. A similar development in Cornell promotes the need for services to be closer to residences. Linked to the concern of urban growth, Markham through York Region Transit (YRT) has implemented a transit system called Viva to ease the strain on the region's congested roads. Viva is similar to YRT but is used as an express bus service with the ability to change traffic signals to help reduce delays. The YRT is also planning to build a transit terminal somewhere near Cornell soon. A key arts venue is the 'Markham Theatre For Performing Arts', at the Markham Civic Centre located at Highway 7 and Warden Avenue. Events taking place annually include the Markham Youth Festival, Unionville Festival, Markham Village Music Festival, Markham Jazz Festival, Milliken Mills Children's Festival, Thornhill Village Festival, Markham Fair, Markham Festival of Lights, Markham Santa Claus Parade, Olde Tyme Christmas Unionville, Markham Ribfest & Music Festival, Cornell Garden Festival and the Cornell Easter Egg Hunt. The Pacific Mall is the largest Asian mall in North America and some of the most expensive retail space in Canada. York Region Transit (YRT) connects Markham with surrounding municipalities in York Region, and was created in 2001 from the merger of Markham Transit, Richmond Hill Transit, Newmarket Transit and Vaughan Transit. YRT to connects to the Toronto Transit Commission (TTC) subway system by way of VivaBus Rapid Transit from Finch station along Yonge Street, and Don Mills station through Unionville and on to Markville Mall. The TTC also provides service in Markham on several north-south routes, such as Don Mills Road, Warden Avenue, Birchmount Road, McCowan Road and Markham Road. These routes charge riders a double fare if they are travelling across the Steeles border and most Markham residents choose to travel by car instead of public transportation. Buttonville Airport is slated to close by 2016.